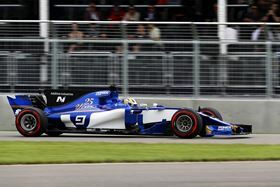 The Sauber F1 Team will reportedly be the launching customer of two MetalFAB1 Process & Application Development Tools. The Sauber F1 Team and Additive Industries have announced a three-year partnership. The Sauber F1 Team will reportedly be the launching customer of two MetalFAB1 Process & Application Development Tools that will be upgraded later to full size integrated multi-material MetalFAB1 systems for series production. This story is reprinted from material from Additive Industries, with editorial changes made by Materials Today. The views expressed in this article do not necessarily represent those of Elsevier. The Sauber F1 Team has officially taken delivery of a 3D printer built by Additive Industries as part of a three-year technology partnership. The Alfa Romeo Sauber F1 Team and Additive Industries have announced they will extend their three-year technology partnership to five years.